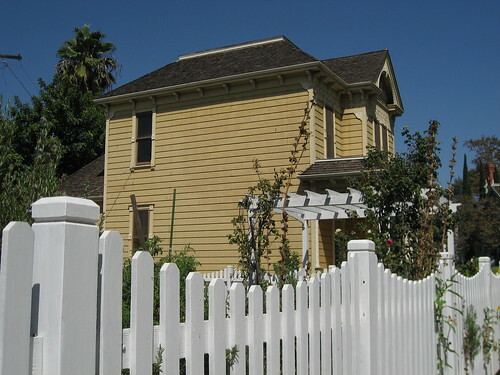 Heritage Square Museum calls this landmark the Ford House in recognition of its first owner, woodworker John J. Ford (his occupation would explain why the home’s woodcarving is especially ornate). 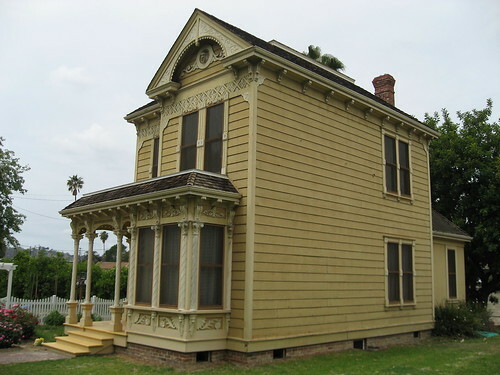 A more popular name is the Beaudry Avenue House, as the structure was still standing at its original location at 140-142 North Beaudry Avenue, just northwest of Bunker Hill, when designated a city monument thirty-five years ago. 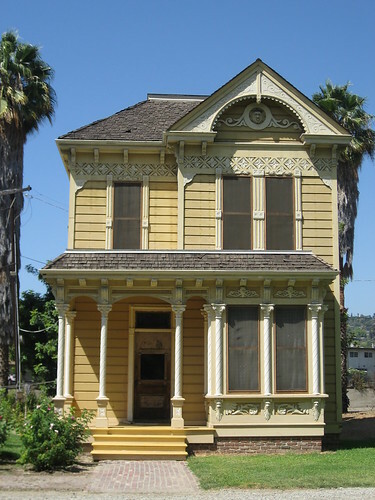 Ford’s old home is a Victorian hodgepodge of Italianate, Queen Anne, and Eastlake styles. It was moved to Heritage Square a week before Thanksgiving in 1974. 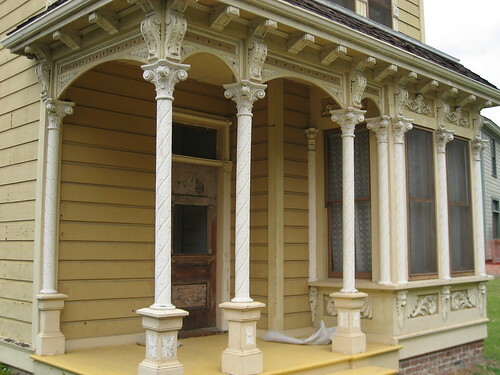 While the outside is well restored, the interior needs a lot work. Unfortunately for the Ford House, I think there are bigger priorities for the Museum to attack before the non-profit gets around to fixing up its inside. 1885 is the most common date I’ve seen for construction. 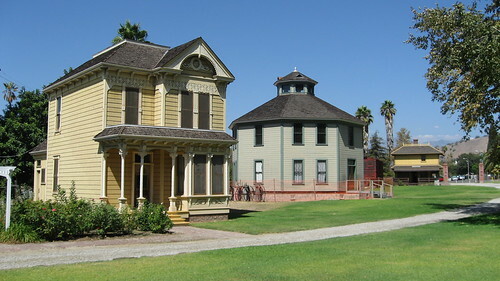 The Museum uses 1887. ... and this one featuring the Ford House and HCM Nos 98, 40, and 65 (Mt Pleasant House, Hale House, and Valley Knudsen Garden Residence). 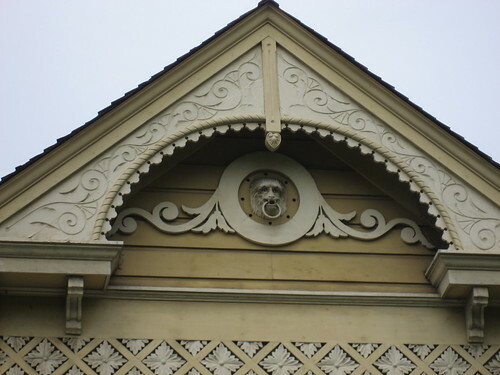 Thanks for the wonderful photos and description of the Ford House. 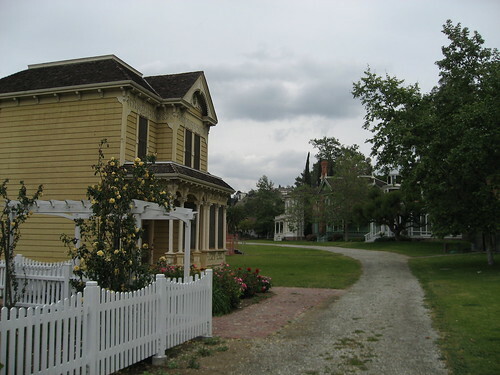 For anyone thinking of visiting, a great time would be on February 9, between 12 and 4, as Heritage Square Museum is hosting "Old Timers Day", entailing free admission for seniors. Thank you for the comment, Brian. And thanks, too, for the news on this Saturday's event. I hope it's a huge success.